UNODC’s (United Nations Office on Drugs And Crime) regular surveys, extensive data, and its 2003 comprehensive report (UNODC, 2003) provide invaluable insights into the overall size and characteristics of the opium economy, and much good fieldwork has been done at the rural household level.2 There have also been general overviews like Ward and Byrd (2004). 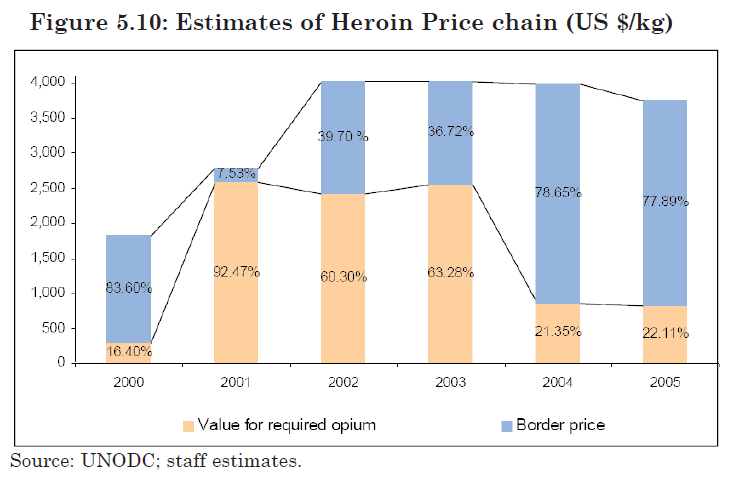 But the opium economy beyond the rural farm and household level remains very under-explored and under-researched, despite its obvious importance for Afghanistan’s security, governance, and development agenda. As a result, counter-narcotics policies and actions have had to cope with a limited evidence base, further increasing the risk of mistakes in addressing what is an enormously complex and difficult problem in the first place. 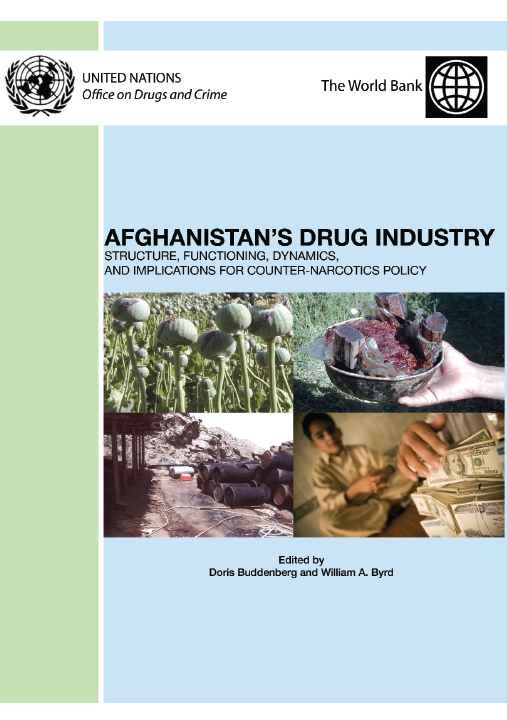 This volume, a joint effort edited by UNODC and World Bank staff and including work by a number of contributors, constitutes a first attempt to remedy this situation— by broadening the analysis of Afghanistan’s opium economy to encompass, in addition to the rural farm/household level: opium trading, price patterns and pricing behavior, the drugs/informal financial transfer (hawala) nexus, the organized crime perspective, and macroeconomic dimensions. While it aspires to greater comprehensiveness, this is not at the expense of depth of coverage, as most of the research presented in the volume is based on newly-gathered primary data from fieldwork, or in-depth technical analysis of available information. However, while it is beginning to put together the pieces of the jigsaw puzzle— or in other words to fill in the overall picture of the opium economy in Afghanistan— this volume’s findings and conclusions must be considered preliminary, subject to further verification, adjustment, or correction through additional research.